I didn’t set out to be an author, but I became one on November 4th 2014 when The Grown-Up Business was published. I wrote it for business owners who’ve found that running their business wasn’t fun anymore. It’s a step-by-step guide to turn a business from 7-stone weakling into one with real muscle and endurance. It packs a punch; 47 real-life case studies and almost 200 how to tips, exercises & templates to help you every step of the way. I couldn’t have written this book without my clients and to them a big thank you. It was their challenges, problems, issues and stresses that persuaded me to write the book to help evenmore small business owners. I’m absolutely thrilled that Sam Carpenter – Author of Work The System has written the foreword to the book. Sam’s book is a fabulous read especially if you need to implement processes and procedures. 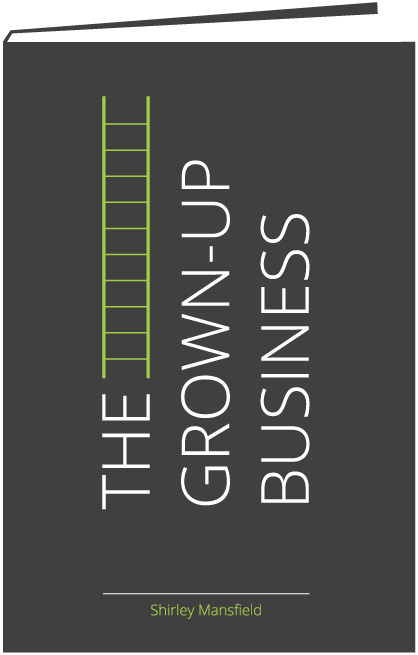 If you’d like to hear me talking about my book you can listen to my interview with Paul Andrews on Business Bunker Radio. 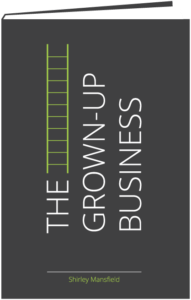 Alternatively you can read the reviews for The Grown-Up Business book. I’ve written a number of e-books which you’re welcome to download with my compliments – no email needed.